On this website and in our videos we often talk about workflow. The reason that we talk about it so much is that we want you to spend more time recording and making music opposed to focusing on the little tasks that don’t have value to the recording process but take a lot of time. 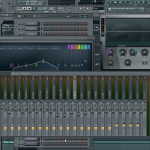 So in this FL Studio tip we take a look at a few hot keys including control A and shift drag. For this specific tutorial we focus on how you can benefit from these two hot keys in FL studio’s piano roll. So for example purposes let’s say that you have successfully created a MIDI score within the piano roll. For this example we’ll use a simple lead part. So you have your lead in the piano roll and you would like to repeat it or repeat it slightly and change some of the notes to add variation to the beat. 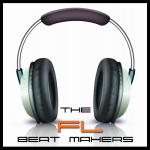 To do this you can use a few quick FL studio workflow tips. With the piano roll active in FL studio hit Ctrl-A on your keyboard. 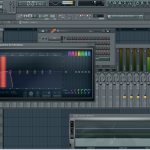 Once you have done this you will notice that all of your MIDI data in the FL Studio piano roll is now highlighted red signifying that it is selected. Now that it is selected we want to copy this information and add it to the piano roll to make the part twice as long. Now there are couple of ways that this can be accomplished. The first way is to hit Ctrl-C on the keyboard or go to edit, copy, within the piano roll window. Then, navigate to the area of the piano roll that you would like to paste it and hit Ctrl-V or going to the edit menu and selecting paste. 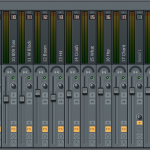 Although these ways will work they’re not optimal for the best workflow in FL Studio. So just to make sure you are following let’s back up a little bit. With the piano roll window active you first hit Ctrl-A to select all the MIDI information in the piano roll. Now on your keyboard you want to press and hold the shift key. Now that you are holding the shift key left click on the first note in the FL studio piano roll. Still holding shift and left click on your mouse drag the pattern to where you want it to repeat. When you hold shift and left click and drag with the mouse it will copy anything that you have selected automatically. You can then move this to the desired location. If you enjoyed this or benefited from this tutorial please subscribe to our YouTube page and share this tutorial by clicking on one of the links below.